What are MLM books and tapes? They are often referred to as tools, educational products, training materials, or MLM resources. The purpose of MLM books and tapes is to teach network marketers new skills that will help them succeed in their business. 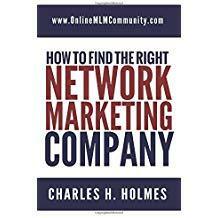 There are literally hundreds, maybe thousands, of different books about network marketing that you can buy online, or at your local bookstore. And there are tons of audio programs, too. During my time in Amway, I learned the importance of listening to training tapes and reading business books. My mentors taught me that the books you read and the people you spend most of your time with will determine where you end up in the next five years. Up until that point in my life, I had never read a self-help book or business book. And I definitely had never listened to a business tape or inspirational tape. I still remember how much knowledge I acquired during my 2.5 years in Amway, because of what I learned from the MLM books and tapes. Now, some ten years later, I am still an active reader and audio program listener. If it’s one thing I learned along the way, it’s that readers are leaders and leaders are readers. And the most successful entrepreneurs are always a student of their business. They do everything that can do to stay on the cutting edge. This includes networking, reading, listening to audio programs, attending seminars, working with a coach, etc. I also learned that MLM books and tapes are a huge industry within itself. Many of the top earners in this industry have abandoned their downline building efforts to write, publish and sell their own MLM tapes and books instead. I can’t say that I blame them, with the lucrative business opportunity it presents. After all, with so many people struggling in this industry, most network marketers are desperate to learn how to succeed. They’re always buying books, tapes and business tools to give them a cutting edge. And if you can produce a quality network marketing training product at a reasonable price, that people want, you can create a very nice side business. One of the greatest lessons I learned from Mike Dillard’s Magnetic Sponsoring Course is that “people would rather spend money to learn how to do something that actually go out and do it.” If that doesn’t make sense to you, just think about all the people who buy gym memberships, but never go. Think about all the people that buy great books, but never read them. Or they read the book, but don’t apply what they learn. Few distributors will ever make the commitment to build a successful network marketing business. But a large percentage of them will buy tools and training resources to learn HOW to build a business. If you are serious about your MLM business, you should study every MLM book and tape that you can find. You should become a student of the business. And once you’ve achieved success in the industry, you should consider launching your own products, such as books and audio programs. That’s where the BIG money is! I agree that it is important to actively study those topics pertaining to anything you choose to get involved in. I know that the moment I decided to get involved in MLM I began researching and reading and connecting with individuals who succeeded in the industry. I wanted to learn all I could and use that information in order to become a better business person myself. It is amazing how much of that information will stick with you and how much of it you will reference when different situations arise. Be a student of your business and you can’t go wrong. I agree with Greg: reading is just about the best educational tool out there. I love to read. I do not read as often as I should, or as often as I would like to, but it is not because I am watching television. I am just so busy! I do need to get into listening to the tapes, though. That is easy and something that I can do while I am driving from one appointment to the next. Thank you for the motivational article. As you probably know by now Chuck, I believe reading is one of the best educational tools there is. We can learn so much by reading and it seems that, for the most part, people just do not read like they once did. With technology the way it is, it is even easier to read. I speak of audio books and handy readers like Kindle. But no, people would rather watch television shows that have no educational experience. I hope that reading comes back in. It is books like the ones you mention that can help people grow in their knowledge to help them run their MLM business in a sound and wise way. I credit reading as one of the most important things that helped me be successful. I have lost track of all the money I have spent in my own personal develop with books, audios, membership sites. I have learned something from everything. I will continue to invest in myself and may even eventually create my own product.